Welcome to Part 9 of our Beginner’s Guide. In this section, we’re finally going to discuss mods and how to “properly” mod your equipment for the best results. 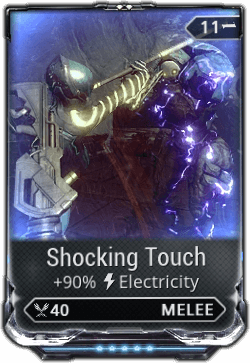 You should think of mods as your RPG “gear” in Warframe as it has the highest impact on your loadout effectiveness. A loadout with strong, max rank mods will completely destroy a loadout with unranked mods. However, modding is not a straightforward process so we’ll be discussing how you should approach modding for the best results. How Can I Mod My Equipment? 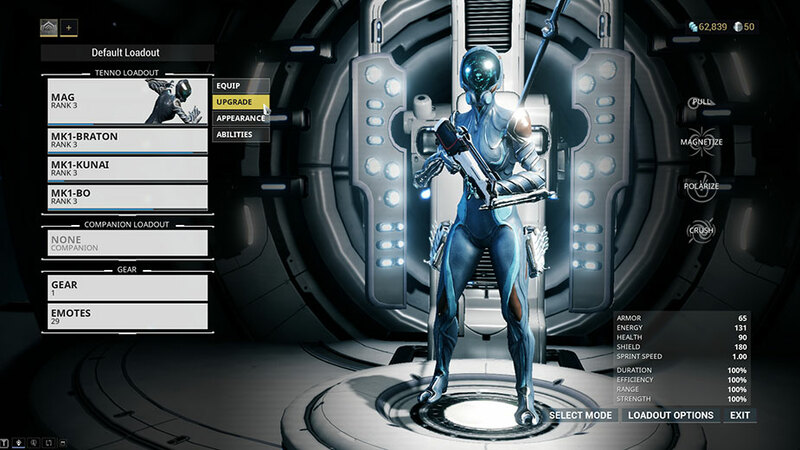 You can mod any of your Warframes, weapons, companions, or Archwings inside the Arsenal. All you need to do is hover over the piece of equipment you are interested in modding and click the “Upgrade” button next to it. This will take you to the modding screen for that part of your loadout. 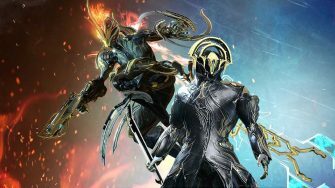 Every Warframe, weapon, companion, or Archwing you have has access to 3 different configurations of mods. Think of these as “favorites” which allow you to quickly swap between different mod setups for a particular piece of equipment. 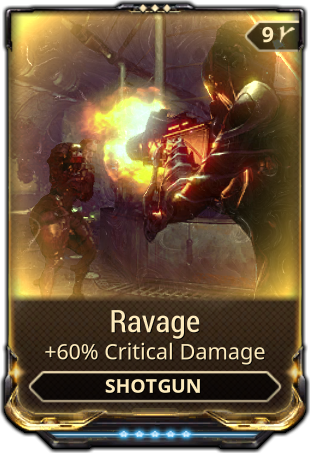 This is memorized individually, meaning you can save different configurations on every single Warframe or weapon you have. When Should I Start Modding? This is a common question for beginners to have: At what point in the game should I concern myself with modding? The truth is, modding will be easier if you start learning and getting used to it immediately. However, you won’t need to start thinking about modding in detail until roughly Saturn or later on the Star Chart. Up until that point, you’ll be able to get away with minimal mod setups. However, you should absolutely have mods on your equipment at all times. 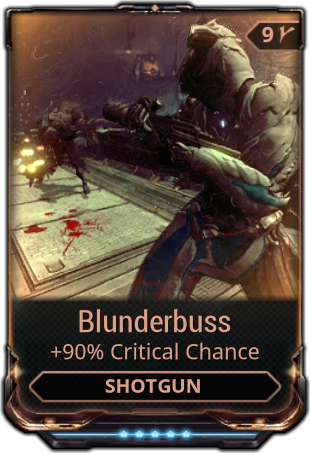 You should not ignore modding completely as unmodded Warframes and weapons are significantly weaker than their modded variants. You’ll understand why in a moment here as we cover modding in more detail. What are Mods and How Do They Work? Mods are items you can attach to your equipment to provide them bonuses. 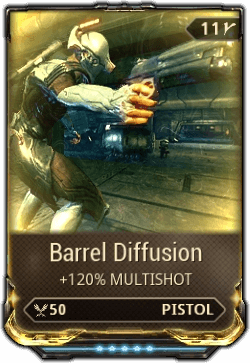 For example, mods can increase your weapon damage or decrease the energy cost of your abilities. These are just two simple examples. 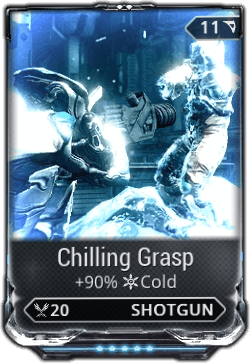 There are mods for just about anything, including “obscure” things such as affecting your Warframe’s slide friction or weapon zoom. Let’s get into the basics of mods so you can fully understand how they work. – Polarity affects how much capacity the mod will take in a mod slot on a piece of equipment. If the mod has the same polarity as the mod slot, it will cost 50% less (rounded up) capacity. 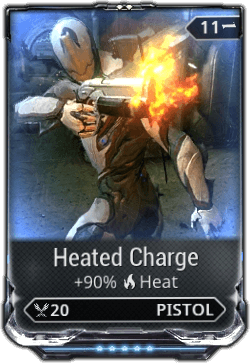 If the mod has a different polarity from the mod slot, it will cost 25% more capacity. If the slot has no polarity, the capacity cost will remain the same. – Capacity is a number which represents how much “space” the mod will take up on a piece of equipment. Every item in the game has limited capacity for mods, so higher capacity mods will leave less space for other mods. – Name is just that: The name provided for a specific mod by the developers. – Effect is the bonus or upgrade that the mod provides to a piece of equipment when attached. – Item is the type of equipment the mod is limited to. 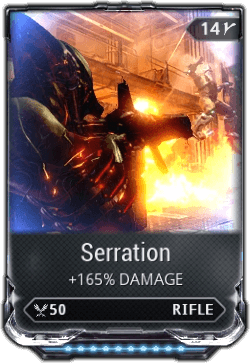 In this case, you can equip Serration to any primary weapon aside from Shotguns. – Rank is how far the Mod has been leveled through a process called Fusion which we’ll discuss soon. The mod pictured above is max rank (all circles are filled). Higher ranked mods provide stronger effects, but cost more capacity. Most mods max at rank 5, but some max at 10 (like the one pictured above) or 3. 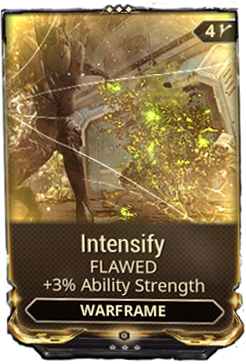 This flawed Intensify mod has Madurai polarity (name of the symbol). 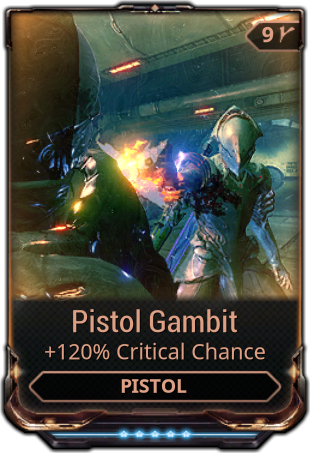 It doesn’t match one of Excalibur’s polarity slots, but it does match the other. 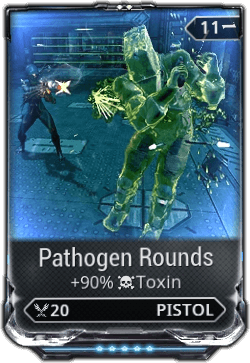 Let’s demonstrate, through the power of editing, the effect polarity has on capacity by putting this Intensify mod in 3 different mod slots. This image is edited. 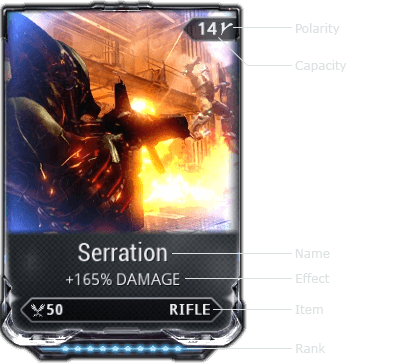 You cannot equip the same mod more than once even if you have several copies. This is for demonstration purposes only. 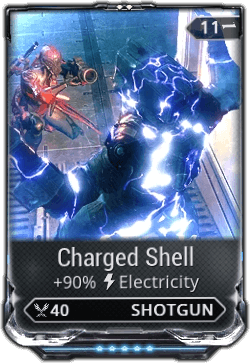 As you can see, the capacity cost of the mod changes depending on the polarity of the mod and the polarity of the mod slot you place it in. Matching polarities halves the capacity cost, mismatching polarities increases the capacity cost by 25% and no polarity keeps the capacity cost the same. Hopefully Polarity feels easy enough to understand now. Let’s finish our basic breakdown of mods with how capacity works. 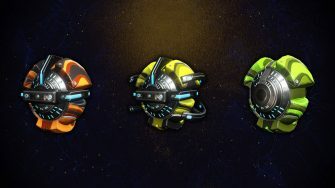 Any item you can mod has a capacity associated with it. This capacity is equal to the level of the item or your Mastery Rank, whichever is higher. For example, a level 30 Excalibur has 30 capacity. If your MR is 10 and you have a level 5 Excalibur, his capacity is 10 rather than 5 since your MR is higher. Likewise, if your MR is 5 and you have a level 10 Excalibur, his capacity remains 10. You cannot exceed the capacity of your equipment when attaching mods. When you start playing, this will be a serious limitation since your MR will be low and the level of your equipment will likely be low as well. 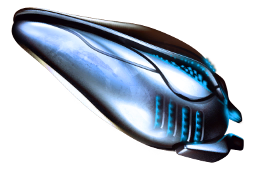 However, as you level up your equipment you will gain more capacity which will allow you to attach more powerful mods. This is the greatest benefit to leveling your equipment. 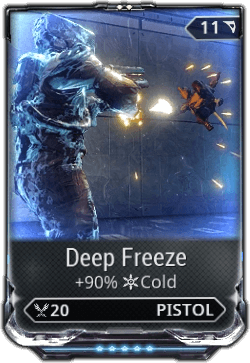 Forma is a special resource that you can use to change the polarity of a mod slot for any Warframe, weapon, archwing or companion. 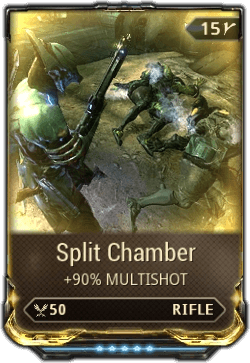 You can add polarities to slots that have no polarity or even remove the polarity of a mod slot entirely. This is exceptionally useful as you can add or change polarities as needed to optimize your mods’ capacity costs and hence be able to fit more mods in your builds. 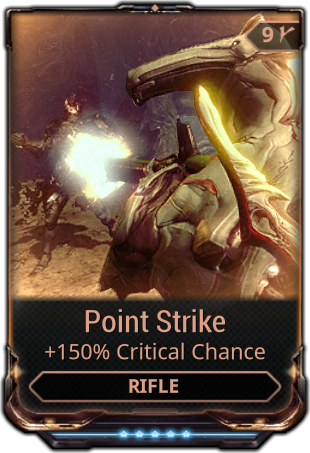 However, you can only use Forma on a Warframe, weapon, archwing or companion that is currently Rank 30. 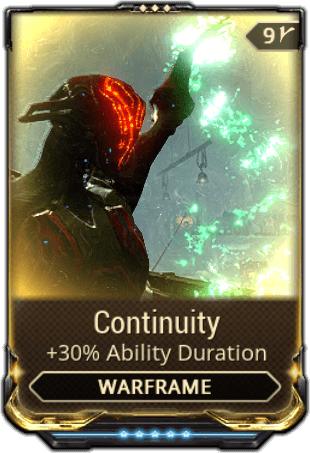 Once you use Forma to change the polarity of a mod slot, your item will be reset to Rank 0 and you’ll have to level it to Rank 30 again. 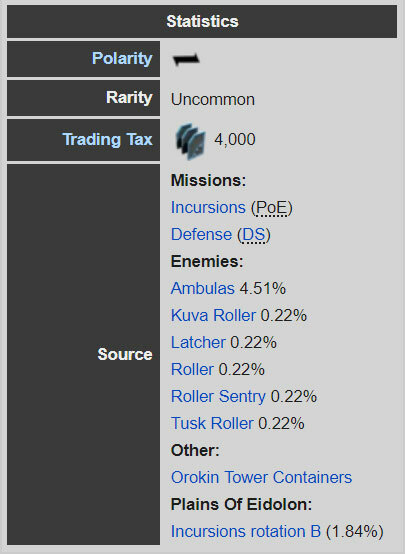 This will happen each time you use Forma on an item. Forma can be acquired through a variety of methods. The simplest is to buy it for Platinum, but we advise against this until you have a reasonable sum of Platinum as there is plenty to spend it on. 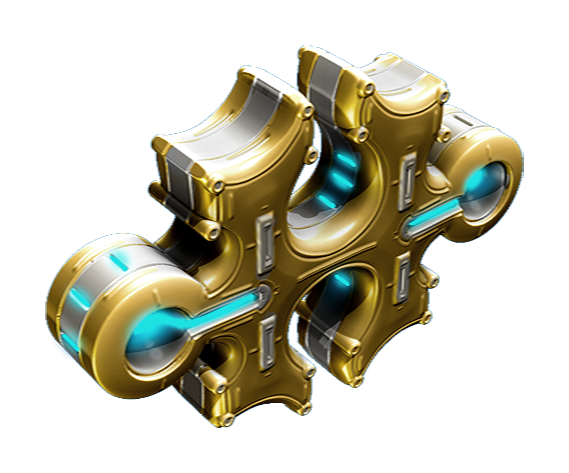 The easiest way to acquire Forma is to obtain Forma blueprints from opening Void Relics and then craft them in your Forge. You can do this once every 24 hours and it is recommended you do so. Affectionately called blue and gold potatoes by the community thanks to their appearance, these resources will double the capacity of your items. 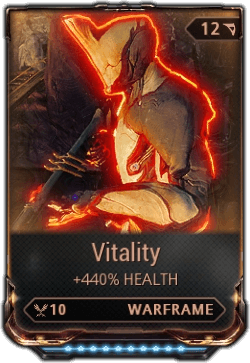 Orokin Catalysts double the capacity of any weapon while Orokin Reactors double the capacity of any Warframe, Archwing or companion. There is no catch and unlike Forma, you can apply these at any rank. It’s really that simple. If you add one of these to a item with 10 capacity, it will increase to 20. Each level up will also provide 2 capacity instead of 1, meaning you can apply this to a rank 10 item with 10 capacity then rank it up to 30 and it’ll have 60 capacity. The only thing that these precious potatoes don’t affect is capacity boosts provided by aura mods (discussed next). Unfortunately, obtaining these through normal gameplay is rare. There is no reliable way to farm them so you’ll have to spend 20 Platinum each if you want them in most cases. 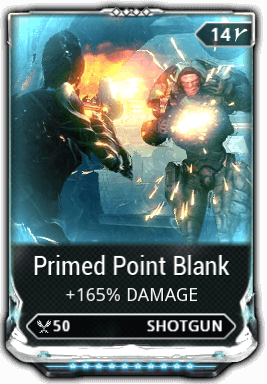 However, this is a price worth paying on most weapons or Warframes that you expect to use frequently. 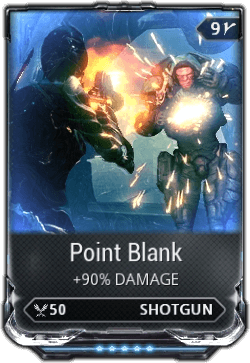 Auras are unique mods you can only put on Warframes. 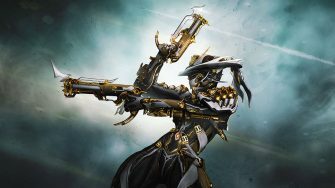 Recall when we said the first two mod slots are special for Warframes? The first mod slot is a slot just for Auras. You cannot equip any other type of mod in that slot. Aura mods offer passive benefits to both yourself and your whole squad. 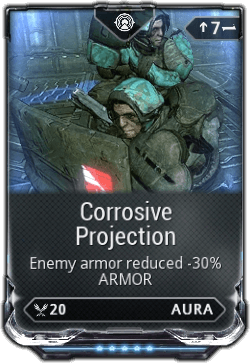 For instance, “Corrosive Projection” (one of the best auras) will decrease the armor of all enemies in the mission by 30%. This effect will also stack if other members of your team have the same aura. As you might expect, this helps your entire squad kill enemies significantly easier. 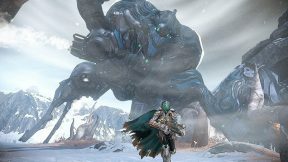 However, Aura mods are also unique in that they increase your capacity rather than drain it. 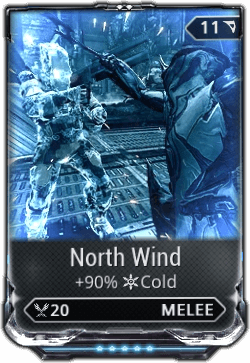 The mod pictured above will increase your capacity by 7 if placed in a no polarity aura mod slot. However, matching polarities will double the increase in your capacity to 14 while mismatching polarities will reduce the increase by 25% to 5. 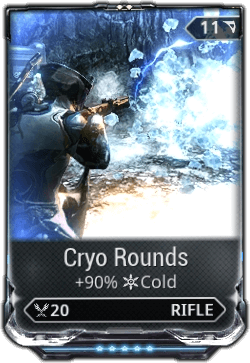 Regardless, aura mods will always increase your total capacity so you should have one equipped at all times if you have any! As you can see, ranking up a mod costs both Endo and Credits. You can use this screen to preview the increase in both the mod’s provided bonus along with capacity before committing to an upgrade. The increase in effectiveness for a mod is linear, meaning each rank increase provides the same benefits. However, Endo and Credit cost increases are exponential. The costs can get crazy on mods that go all the way to Rank 10. For this reason, we recommend NOT going past Rank 5 for Rank 10 mods until much later in the game. Rarity is NOT a measure of usefulness. 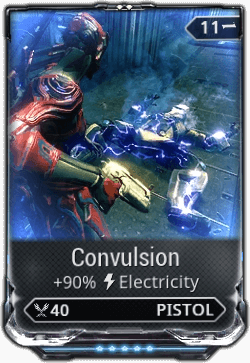 Some common mods are exceptionally useful while some Legendary Mods are rarely useful. The only thing to keep in mind about rarity is that mods with higher rarities cost more to upgrade so you might want to stick to upgrading uncommon and common mods initially. 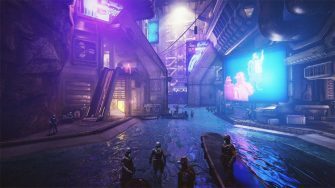 All mods awarded to you during the “Vor’s Prize” quest are “flawed.” These mods will specifically have the word “Flawed” on them displayed above their name. 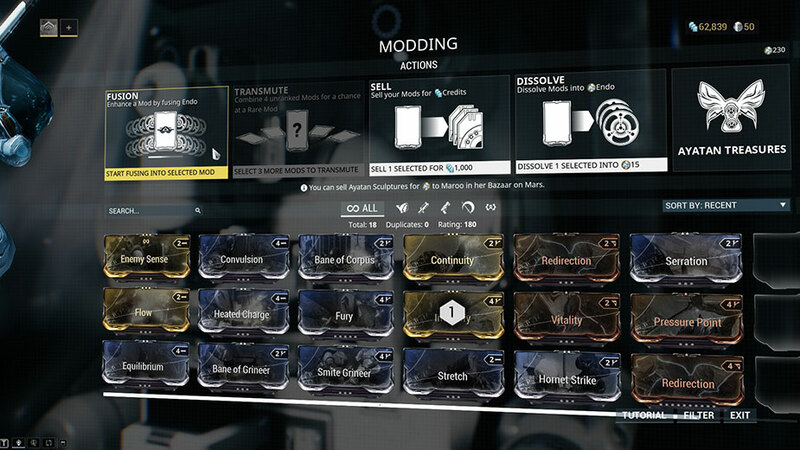 You should NOT waste your Endo upgrading these mods as they are significantly weaker than their normal counterparts. Feel free to use these mods in your setups since they have lower capacity costs, but avoid upgrading them. 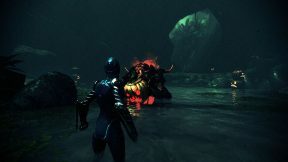 While there are many different Warframe mods in the game, we’re going to cover the ones that will be relevant to you as a beginner. We will not be including any mods that cost more than 10 Platinum in this guide. We’re choosing not to include expensive mods because their cost is prohibitive for most beginners and even if you can afford them, you usually won’t have adequate capacity to use them effectively in the early-game. – Ability Range affects the distance your ability will work. The higher the range, the further away your abilities will be effective. – Ability Duration affects how long your abilities will work if they have a prolonged effect. Often duration can affect other aspects of your abilities as well. – Ability Strength affects how strong your abilities are. 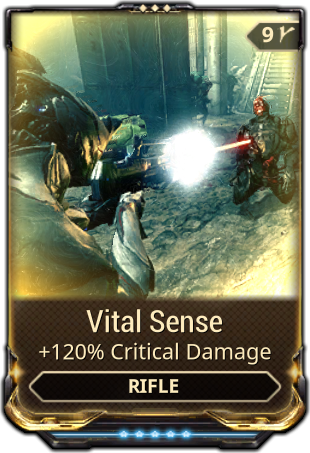 This will often increase damage, but it can also increase the strength of a buff and have numerous other effects. 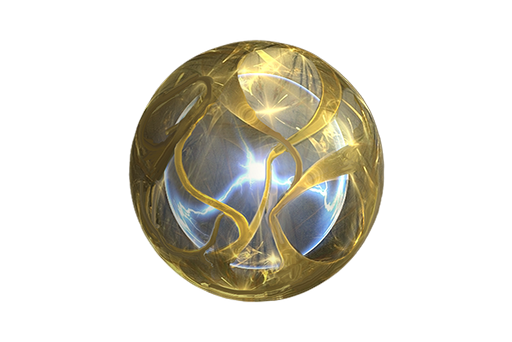 – Ability Efficiency affects how much energy each of your abilities consume. The higher your ability efficiency, the less energy abilities consume. You can reduce energy costs by a maximum of 75%. This is a rough generalization of how these stats affect your abilities, but it is not even close to comprehensive. 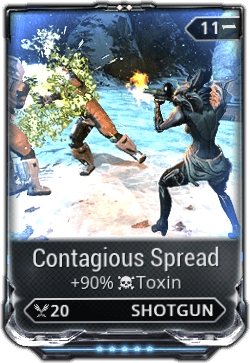 Every single Warframe has unique interactions with these stats. 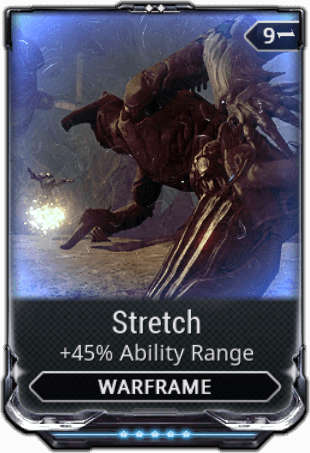 For instance, some Warframes gain nearly no benefit from Ability Strength while others depend on it entirely. 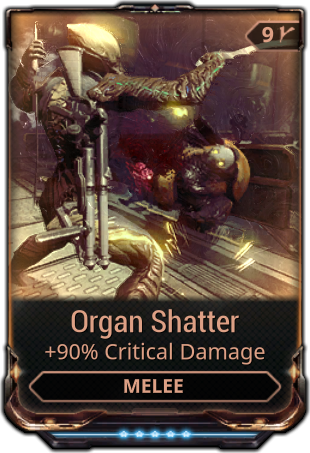 In order to mod your Warframe properly, you’ll need to understand the impact these stats have on its specific abilities. 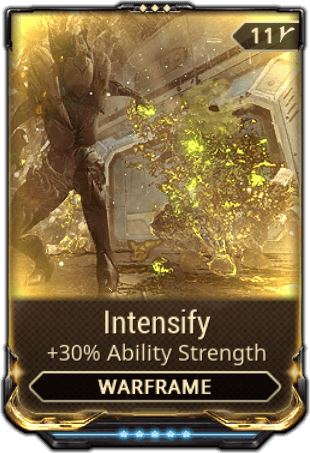 We recommend using the wikia to read up about your Warframe’s abilities. 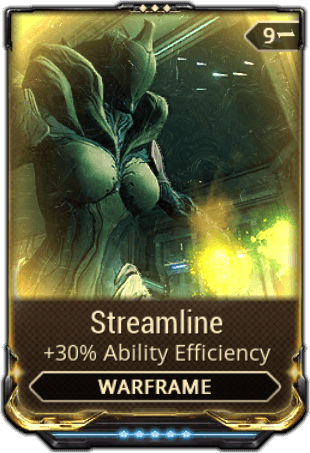 These mods are an absolute “must” for beginner players as they will increase the tankiness of your Warframes and make life a whole lot easier for you. You shouldn’t rank them up beyond Rank 5 since the Endo costs become far too prohibitive past that point, but Rank 5 is more than enough for clearing the Star Chart. We have a lot to cover here so prepare yourself. The mods we are about to list are the foundation of all weapon modding. This list of mods will drastically increase your damage output which will make all the difference when you get later into the Star Chart. These mods are by far the most important mods that you should ALWAYS equip to your weapons. 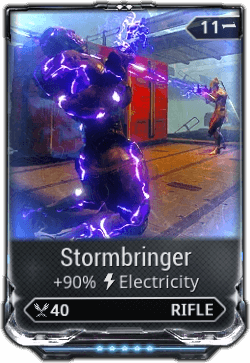 They offer a straight damage buff that’s far stronger than what almost any other mod in the game can provide. These are the first mods you should spend your Endo on. As always, don’t go beyond Rank 5 until much later in the game due to the escalation in Endo costs. Multishot may sound confusing at first, but it’s simple. Multishot affects how many projectiles your weapon shoots each time you pull the trigger. If your unmodded gun shoots one bullet each time you shoot, then increasing the multishot by 100% will make it shoot two bullets simultaneously WITHOUT consuming additional ammo. If you’re using a shotgun that shoots 6 pellets while unmodded, increasing the multishot by 100% will increase the number of pellets per shot to 12. If the multishot bonus would make the gun shoot a fractional number of projectiles (e.g: 2.2 bullets per shot), then the fraction represents the chance to shoot a whole additional projectile (20% chance of shooting 3 bullets instead of 2). These additional projectiles each have their own chance of a status proc or critical hit leading to a significant damage increase. The main downside to these mods is their capacity cost. 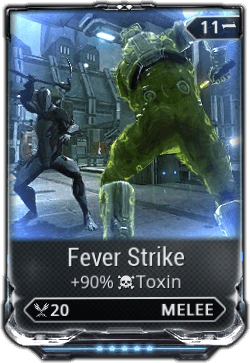 Without Orokin Catalysts or Forma, you will struggle to equip these mods on most weapons. 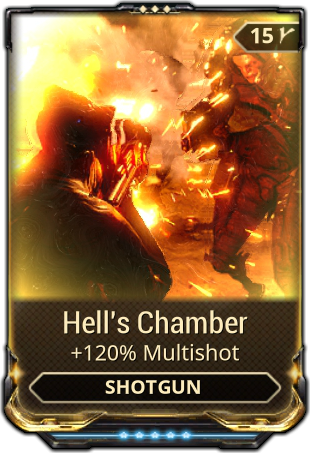 However, a raw damage mod and multishot mod combined is enough to finish most of the Star Chart even if you don’t have space for other mods. 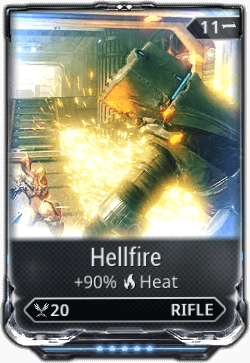 We can’t discuss these mods without first explaining what a critical hit is. Anytime you hit an enemy with your weapon, there is a chance you get a critical hit. The base chance is determined by the weapon in question. Some weapons, like bows, have a higher critical chance than others. As you might expect, critical hits deal more damage than a normal hit. The amount of additional damage is determined by your critical multiplier. A multiplier of 2.0x means that the critical hit will deal 100% more damage than a normal hit. You can view all these stats in the Arsenal. 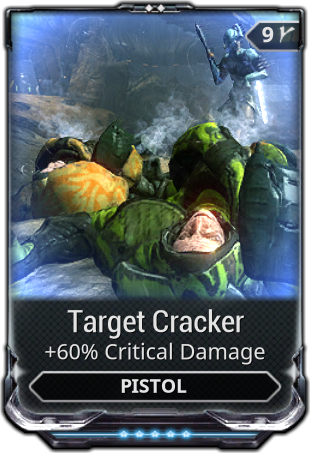 Critical damage mods increase your critical multiplier while critical chance mods increase the chance of a critical hit. If you have a 100% chance of critical hit, every hit on enemies will be a critical hit. 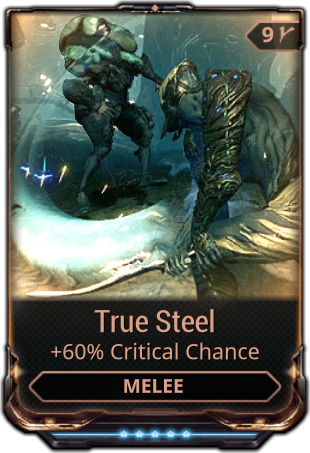 A unique part of Warframe is that you can actually increase your critical chance above 100% to deal even stronger critical hits. Traditionally a critical hit is colored yellow in-game so that it’s easy to identify. However, you may not know that there are orange and red critical hits as well. You will only be able to hit orange critical hits once you’re above 100% critical chance. The amount over 100% represents the chance of a orange critical. Let’s say you have 150% critical chance. You are guaranteed to get a yellow critical hit and have a 50% chance of an orange crit. If you get an orange crit, you’ll deal extra damage based on your critical damage multiplier. Red crits work the same way, except you need higher than 200% critical chance to get one. For the sake of a Beginner’s guide, you only need to understand that critical hits do more damage so it’s worth modding for them on weapons with high base critical chance. You won’t be able to get orange or red critical hits for a long time, but it’ll become relevant later in the game. These mods look far more intimidating than they actually are. These are excellent mods because they provide straight damage bonuses to your weapons. 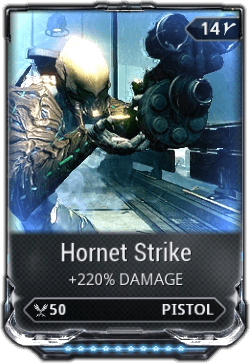 Yes, the +90% seen in the mods above is a straight 90% damage boost to your weapon. You can even stack the different elemental mods together for multiple +90% bonuses. 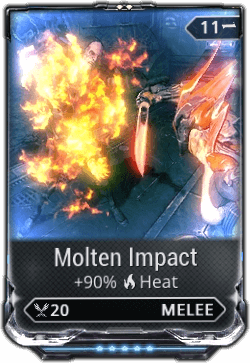 The only difference between these mods and the raw damage mods discussed above is that this damage is elemental. Elemental damage will deal more damage against specific types of enemies and less damage against other enemies. In other words, every enemy in the game has elemental weaknesses and resistances. 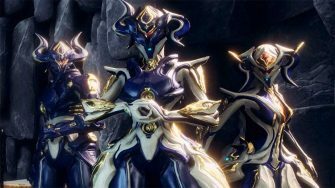 Mastering Warframe will involve understanding those weaknesses and modding your weapons appropriately for different missions, but fortunately you don’t have to do ANY of that for clearing the Star Chart! Here’s the secret: Corrosive damage. Corrosive is an elemental combination of Electricity and Toxin. 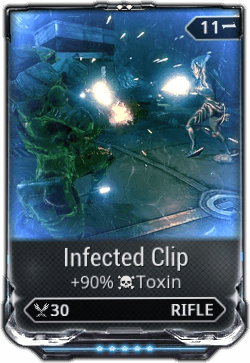 If you put an Electricity mod and Toxin mod on one weapon, you’ll have just Corrosive damage as opposed to both Electricity and Toxin individually. 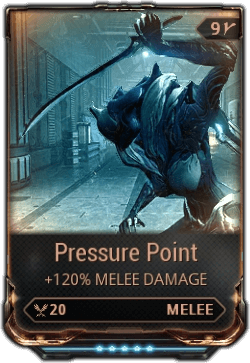 Corrosive damage is unique in that almost no enemy in the game has elemental resistance to it and its armor stripping status effect will increase your DPS drastically. If that sounded like a foreign language to you, don’t worry! Just trust us and stick to Corrosive if you can find the capacity for it. 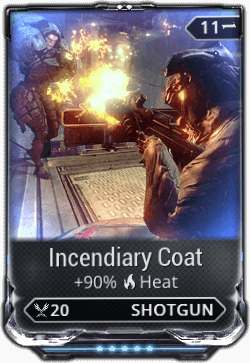 If you can’t find the capacity to stick two elemental mods on one weapon, Heat is a decent element to put on your weapons as very few enemies have resistance to it. If you ever want to learn more about elemental weaknesses and resistances, check out this useful wikia table. Where the Heck Do I Get All These Mods? 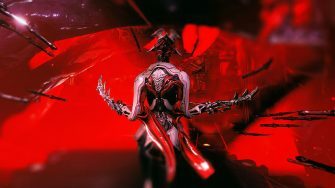 We just dumped 37 mods on you that are the building blocks of modding in Warframe. At this point, you might be thinking “Well that’s great, but I have none of these!” First, it’s perfectly normal to be missing quite a few of these. Some of these mods are rarely acquired through normal play even after clearing the entire Star Chart. We did a full playthrough of the Star Chart without finding a single copy of Hellfire, for example! Many of these mods you will receive as you progress through the game. Keep in mind that you won’t have the capacity to utilize all these mods at once until way later in the game, so you don’t need anywhere close to all of these mods. Furthermore, just a few of these mods will be enough to clear most of the Star Chart. We’ve listed all the available options mostly for your own convenience. If you don’t want to hunt for the mod yourself, you also have the option of buying the mod off another player. 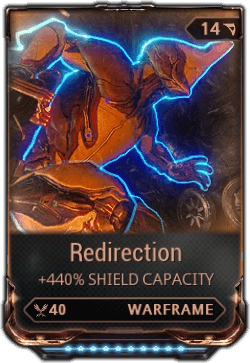 We recommend using warframe.market for this. Keep in mind your 50 starter Platinum is not tradable, so you’ll have to grind for some Platinum yourself! However, this can save you time in the long run as grinding Platinum is often faster than grinding for the specific mod you want. We’re finally all done with both this introduction to modding and our Beginner’s Guide as a whole! Did you make it through to the end? We hope that these guides serviced you in a helpful way. 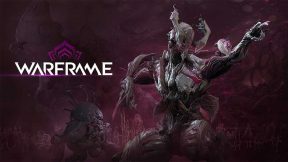 We’ll leave you with one last tip: If you want to look up community modding setups for any item in the game, check out Warframe Builder. It is an excellent resource to get you started on understanding the “meta” of mods. Please feel free to leave comments if you have questions about any of the information discussed here or if you have suggestions on how to improve the guide. Now get out there and space ninja away! My name is Aly and I would like to know if you would have any interest to have your website here at framemastery.com promoted as a resource on our blog alychidesign.com ?